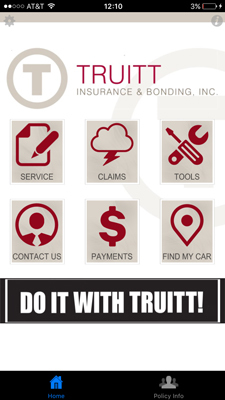 Truitt Insurance App | Truitt Insurance & Bonding, Inc.
We are excited to announce the release of our very own mobile app for Truitt Insurance & Bonding Inc. With our commitment to provide you with the best service, our mobile app will be a great tool for you to help make your insurance life easier! 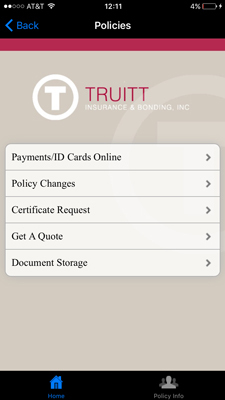 When you’re in an accident, when damage occurs to your property, or even when you need to make the last minute payment on your policy, use our mobile app to enjoy the added level of service and peace of mind. 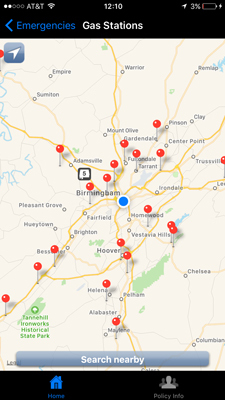 Downloading our app is quick and easy, just click on one of the links below, which will take you directly to the App Store or Google Play. 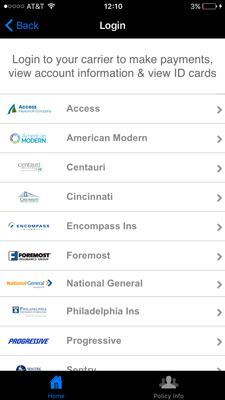 After you have downloaded the app, be sure to enable notifications so we can keep in touch with any news or emergencies. Requirements: iOS 7.1 or later, compatible with iPhone, iPads, and iPod touch (3rd & 4th generation). Requirements: OS 4.0.3 or later, including Ice Cream Sandwich, Jelly Bean, KitKat, Lollipop, Marshmallow, Nougat, and O.